Ty Cobb (1886-1961) was a 6'2", 180 pound country boy from Georgia. Even after he became the biggest baseball star of his generation, he was insecure because of his unsophisticated background. This insecurity would turn into a burning rage if Cobb felt his honor was disrespected. In 1905, his father snuck up on his own house, trying to catch his wife cheating on him. His mother heard a rustle in the bushes, and thinking it was an intruder, shot her husband dead. She was charged with murder, but later acquitted. Three weeks after his father's death, Cobb made his debut in center field for the Detroit Tigers, for whom he played for nearly his entire career. He was 18 years old. Cobb was mercilessly abused by the veteran Detroit ballplayers as a rookie. These actions hardened him into a notoriously mean and aggressive hothead. He was prone to dirty plays, racist rants, heated arguments, and fistfights. Cobb famously fought an umpire after a game—and whipped him good. Nobody in baseball liked him, not even his own teammates. He played hard and lived hard. He was a heavy drinker and smoker. His wife finally divorced him after 39 years in a marriage that produced five children. Cobb was a major stockholder in Coca-Cola and this made him rich. He was a major philanthropist, but he died a lonely, regretful man. He has the highest lifetime batting average of any player in history at .366. His record of 12 batting titles still stands unmatched. He also holds the records for having the second most most hits, runs scored, and triples. He is in fourth place for the most stolen bases and doubles, fifth place for the most total bases, and seventh place for the most runs batted in. After his first season, he never batted below .316 for 23 consecutive years. Cobb was the youngest player to win a batting title until 1955. He won the Triple Crown in 1909 and he is still the only player to have two 35-game hitting streaks. He is the only player to steal his way from first to home four times in his career. Cobb was the youngest player to ever garner 3,000 hits. No other player has gotten to that mark in fewer at-bats. Cobb was voted into the Baseball Hall of Fame with more votes than Babe Ruth (whom he was intensely jealous of), and the most votes ever until 1992. He played in the major leagues from 1905 to 1928. Rogers Hornsby (1896-1963) was from Central Texas. His first name was his mother's maiden name. He spent the majority of his career playing second base for the St. Louis Cardinals. He never smoked nor drank, but he loved to gamble on horses. He was known as a cold, brutally frank, and hateful man. However, he never argued with an umpire. He died of a heart attack after cataract surgery, leaving behind a son. Hornsby (5'11", 175 lbs.) posted a career batting average of .358—the best in history for a right-handed hitter, and the highest ever in the National League. He won seven batting titles, and is the only two-time Triple Crown winner in the history of the National League. Additionally, he found success as a manager while also playing. He led the Cardinals to an upset win over the supposedly unbeatable New York Yankees in the 1926 World Series. 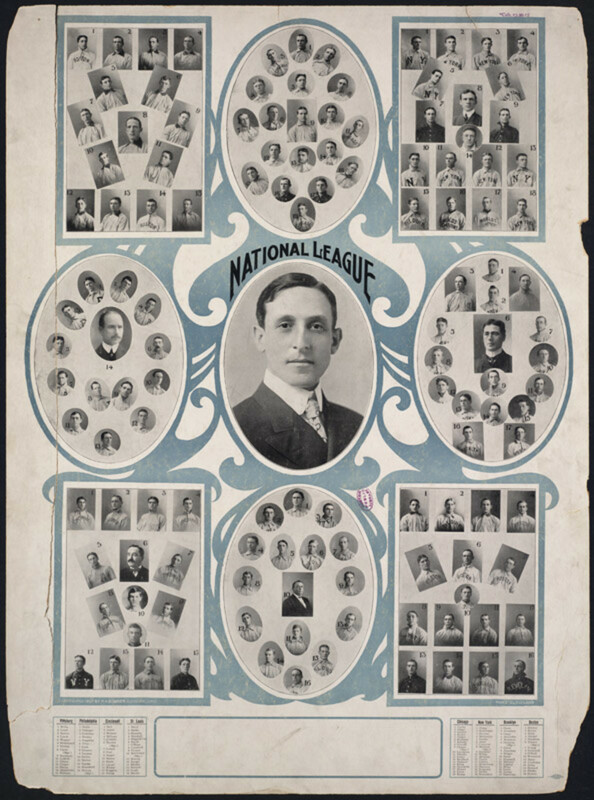 Hornsby holds many records for twentieth-century baseball players. In 1922, he hit over .400 with 40 home runs. He had 450 total bases that same year. In 1924, he hit .424 with a .507 on base percentage. In 1925, his slugging percentage was .756. Hornsby averaged .402 for five seasons; he also led the National League in slugging percentage nine times. None of these totals have been matched since by any man. He played in the major leagues from 1915 to 1937. Jimmie Foxx (1907-1967) grew into a big, strong young man (6'0", 225 lbs.) from doing heavy work on his family farm in Maryland. He became known as the "right-handed Babe Ruth" during his career as a first baseman. Foxx was a good-natured, well-liked man who always picked up the check. Unfortunately, he drank heavily and was not good with money. Foxx ended up broke, and died from choking on a piece of meat at dinner with his brother in Miami. He was survived by a son and a daughter. He debuted in the major leagues at the tender young age of 17 with the Philadelphia Athletics. He played in that club for 11 seasons, followed by six years with the Boston Red Sox. He was the second player to reach 500 career home runs, and is still the second youngest to ever do so. His major league record of 12 seasons with 30 or more home runs stood until 2004. Foxx was a three-time Most Valuable Player, a nine-time All Star, won a Triple Crown title, and won two World Series championships. He finished his career with 534 home runs, 1922 runs batted in (8th place for the all-time record), and a .325 batting average. Of all the men who ever played in the big leagues, Jimmie posted career numbers that are 10th best in on base percentage, 5th in slugging percentage, and 6th in OPS. He played in the major leagues from 1925 to 1945. Stan Musial (1920-2013) was a Polish kid from Pennsylvania who stood at 6 feet tall and weighed in at 175 pounds. He played high school baseball with Buddy Griffey, the father of Ken Griffey Sr.
Musial was married to his high school sweetheart and they had four children. He was widely known as a humble, modest man. He once asked his team for a 25% salary reduction because his production had fallen off. They gave it to him. It is said that Musial played a mean harmonica back in the day. He made his major league debut in 1941 for the St. Louis Cardinals. It was the only team he ever played for during his 22 year career. He was a 24-time All Star, won three MVP Awards, and won three World Series rings. He played first base and the outfield. He finished with a .334 lifetime batting average. He holds the record for the second most total bases at 6,134, third for most doubles at 725, fourth for most hits at 3,630, sixth for most RBIs at 1,951, and ninth for most runs scored at 1,949. 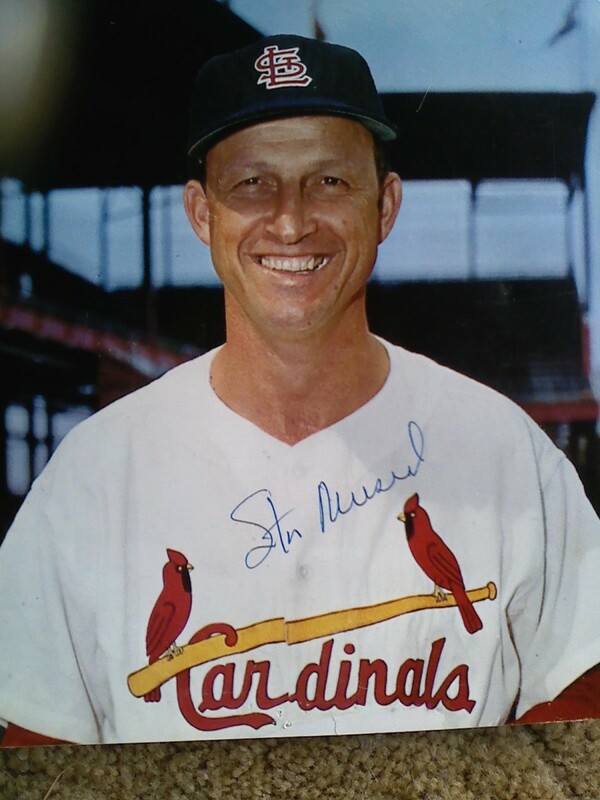 Musial finished with 1,815 hits at home, and 1,815 hits on the road. He is the oldest man to hit three home runs in a game at age 41. He was the General Manager for the Cardinals for one season in 1967; they won the World Series that year. He then resigned to devote more time to his restaurant. 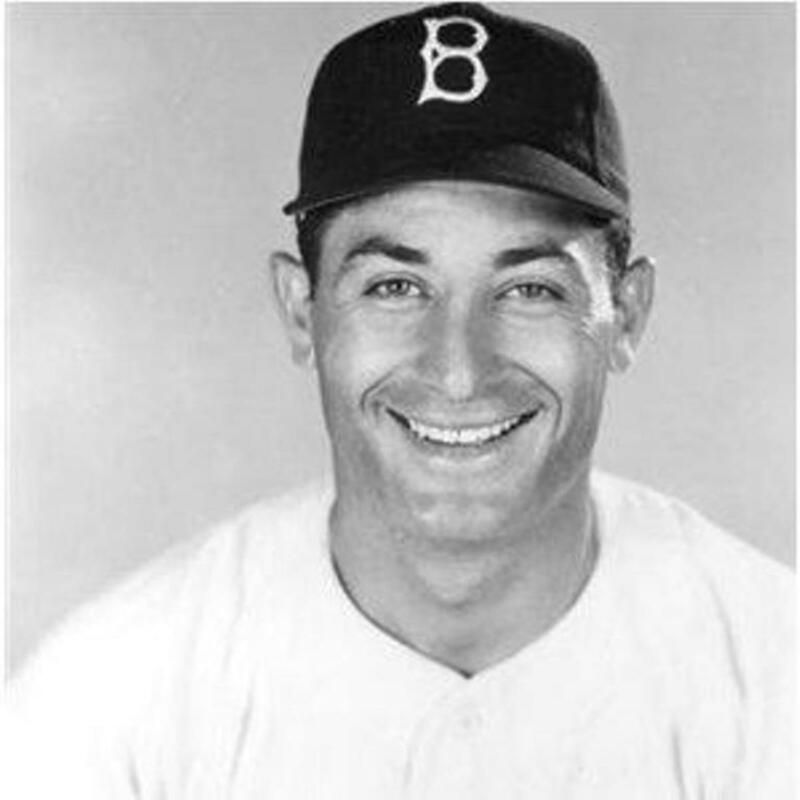 He played in the major leagues from 1941 to 1963. Mickey Mantle (1931-1995) was the son of a coal miner from Oklahoma. Mantle (5'11", 195 lbs.) was the greatest switch-hitter in the history of baseball. He was also an extraordinary center fielder with blazing speed. His memorabilia sells for more today than that of any other player, except for Babe Ruth. 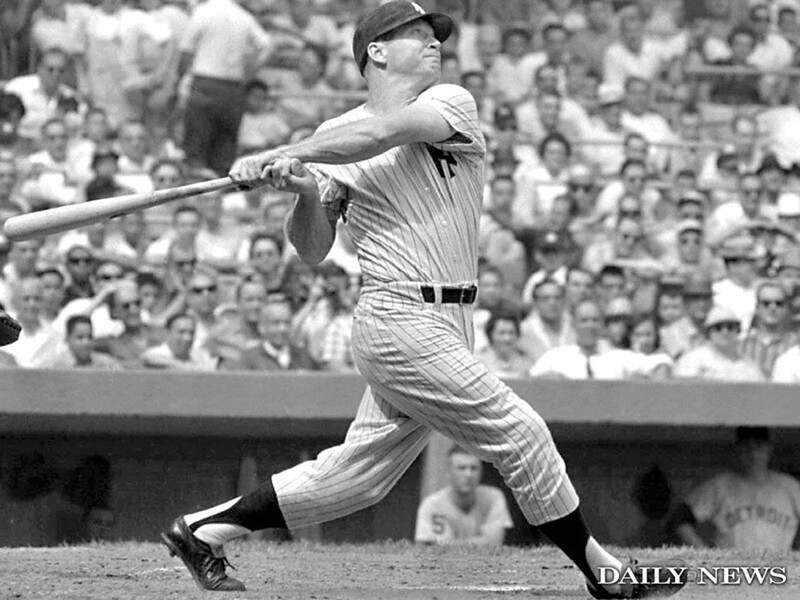 Mantle had an ineffable hold on the imagination of baseball fans across America. He was a heavy drinker and a womanizer. His wife and four sons all became alcoholics as well. He lived too high on the hog and made bad investments. As he was dying of cancer, he famously said, "If I had known I was going to live this long, I would have taken better care of myself." Mantle played his first game with the New York Yankees at the age of 19. He replaced Joe DiMaggio as the center fielder in the following season. By the time Mantle retired, he had amassed 536 career home runs, the third most for the all-time record. Mantle was a 16-time All Star, a three-time league MVP, a Triple Crown winner, and a seven-time World Series champion. His career numbers currently have him as the 12th all-time best for OPS, and seventh for base on balls. He may be more revered for the distance of his home runs; several traveled over 550 feet. He played in the major leagues from 1951 to 1968. Frank Robinson was born in Beaumont, Texas in 1935. He was reared in Oakland, California as his father worked on the railroad. He was the last his mother's ten children. He played high school basketball with the great Bill Russell. Robinson has been married for 49 years and has has a son and a daughter. He was active in the civil rights movement and became the first black manager in the major leagues. Robinson (6'1", 183 lbs.) broke into the big leagues as an outfielder for the Cincinnati Reds in 1956, winning the Rookie of the Year Award. 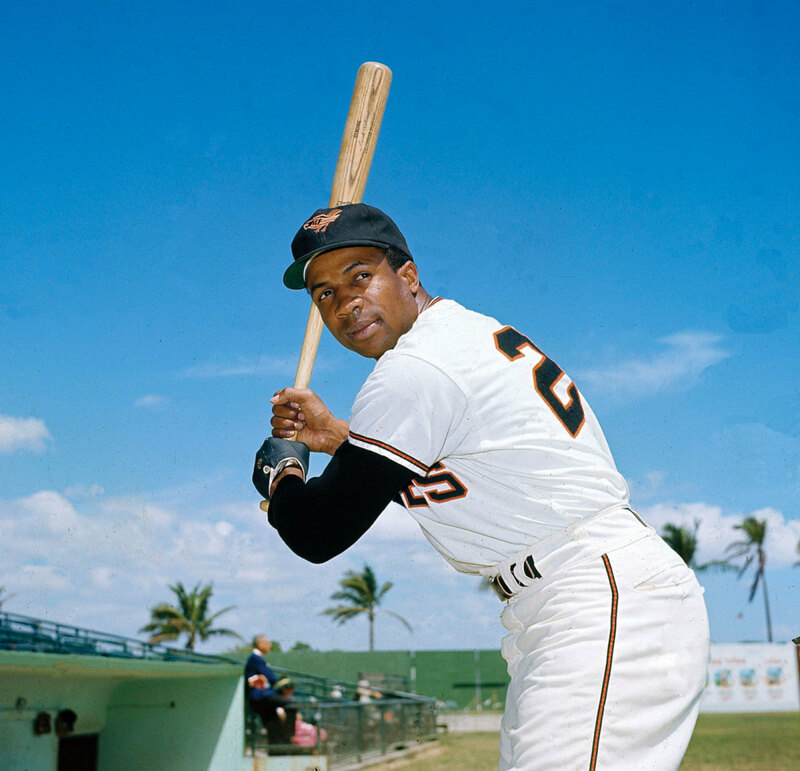 He led the National League in slugging percentage for three consecutive seasons (1960-1962) while developing a reputation as a vicious player for his aggressive style of play. He played 10 years for the Reds, followed by six seasons with the Baltimore Orioles. He is the only man to win the Most Valuable Player Award in both leagues. Robinson also won the Triple Crown title and played on two World Series championship teams. He finished his playing career with 586 home runs, the eighth for the all-time record. His career statistics place him at 11th in all-time total bases, 14th in runs scored, and 19th in runs batted in. These numbers are all the more remarkable considering Robinson played in an era when pitching dominated baseball. He played in the major leagues from 1956 to 1976. 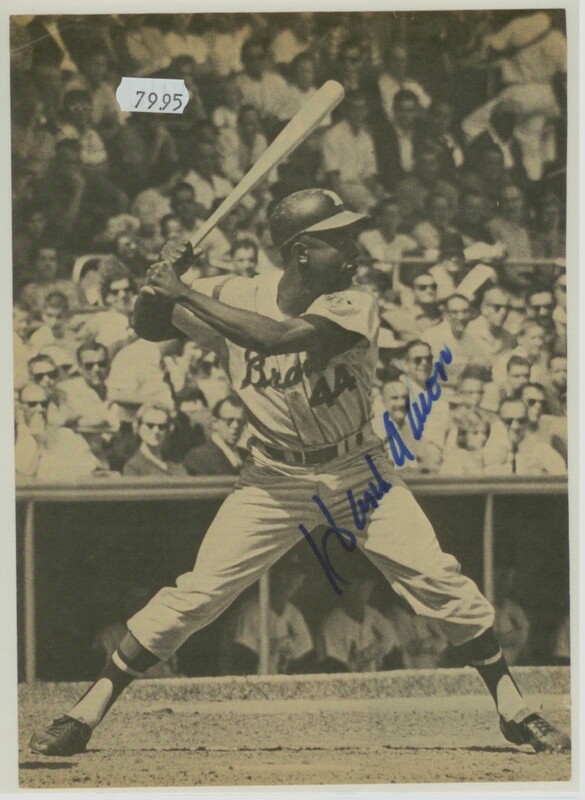 Hank Aaron (b. 1934) is from Mobile, Alabama. He grew up poor as one of eight children and picked cotton as a young lad. Some say this gave him strong hands. After his playing career ended, Aaron owned many car dealerships and worked in the front office of the Atlanta Braves. He also worked for the Turner Broadcasting Network. He is married to his second wife and he has five children. Aaron (who stood at six feet tall and weighed 180 lbs.) broke into the major leagues in 1954 as the right fielder for the Milwaukee Braves. In 1957, he won the MVP Award while leading the Braves to the World Series championship. 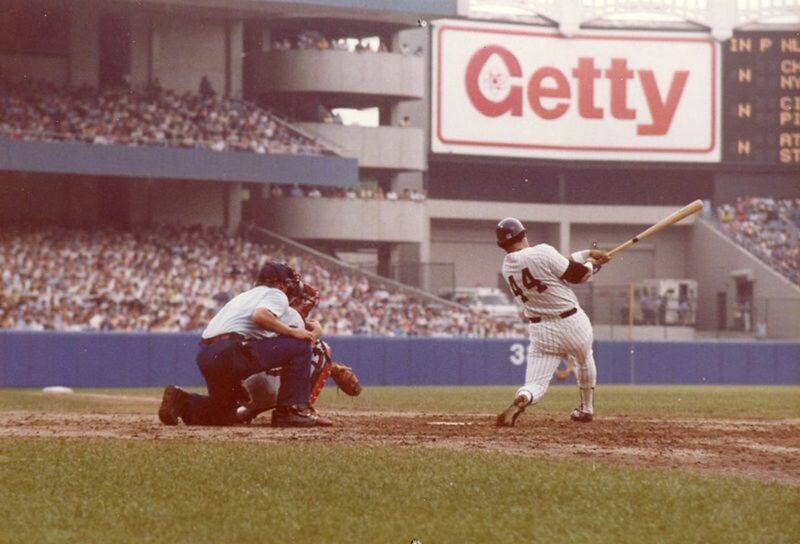 He broke Babe Ruth's record for career home runs (714) in 1974. By the time he retired, he had 755 of them. Aaron remains the only player to hit 30 home runs in 15 seasons. He did all this while batting cross-handed. Aaron became the first player to reach 500 home runs and 3,000 hits in a career. He is the all-time leader in total bases with 6,856. He also leads in runs batted in with 2,297. He ranks in third for the all-time record in hits at 3,771, fourth in runs scored at 2,174, and 10th in doubles at 624. He is a 25-time All Star and has won two batting titles. Aaron led his league eight times in total bases, three times in runs scored, and four times each in home runs, runs batted in, slugging percentage, and doubles. His major league career lasted from 1954 to 1976. Barry Bonds (b. 1964) is the son of former baseball star Bobby Bonds and the cousin of Reggie Jackson. He grew up in California. Barry was a surly man and a polarizing, insufferable braggart with an enormous ego. He was also a user of steroids and amphetamines. He is also the greatest hitter ever. Bonds, at 6'1" and 185 lbs. (including his enormous head, which got noticeably bigger over the years), played left field for the Pittsburg Pirates for seven years. He then played for the San Francisco Giants for 15 years. He is a 14-time All Star and an eight-time Gold Glove Award winner. He is the only baseball player to win four consecutive MVP Awards and the only one to win the award seven times. No one else has ever won it more than three times. Let's take a look at his stats. Barry owns the all-time single season record for on base percentage (.609), walks (232), intentional walks (120), slugging percentage (.863), OPS (1.422), and home runs (73). Barry won two batting titles and led the league in on base percentage 10 times; he is sixth for the all-time career OBP record. He led the league seven times in slugging percentage and is sixth for the all-time record. He led the league in OPS nine times and is fourth for the all-time record. He is in third place for career runs scored and fourth in career total bases. He led the league in bases on balls 12 times and hit the most home runs in a career with 762. And he stole 514 bases. 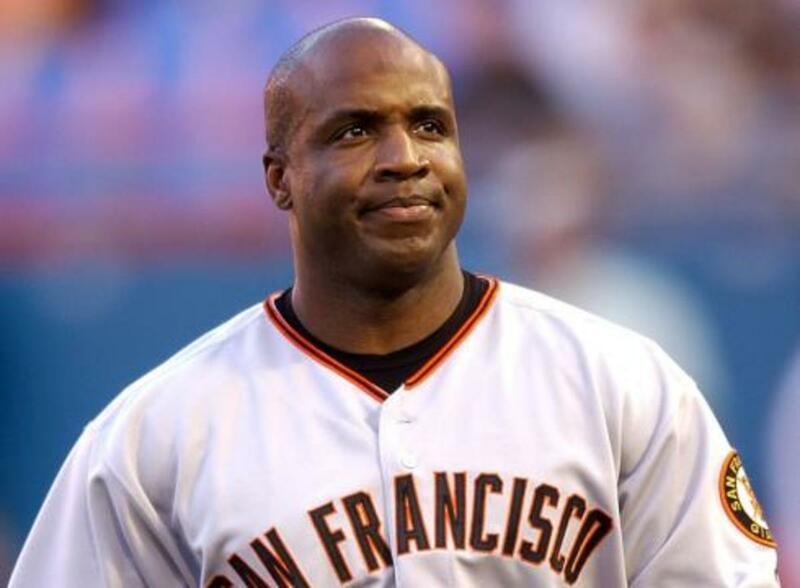 Barry Bonds is the only player to ever hit 500 home runs and steal 500 bases. He played in the major leagues from 1986 to 2007. There are a few big hitters still active that are among the best that ever played the game, such as Albert Pujols. Also, the statistics of Mark McGuire and Frank Thomas earned them some serious consideration for inclusion on this list. Additionally, I would like to extend honorable mentions to Tris Speaker, Eddie Collins, Mel Ott, Hank Greenberg, and Joe DiMaggio. Van Cawthon ~ There is no doubt Shoeless Joe was a great hitter. What a sad story. Thanks for reading. And I appreciate your comments. Angel Guzman ~ Thank you very much for stopping by to read my article. I am so glad you enjoyed it. I appreciate you saying so., too. Don’t leave out Shoeless Joe Jackson. Babe Ruth and Ty Cobb felt he was the best hitter they had seen. Ruth copied Jackson’s swing. 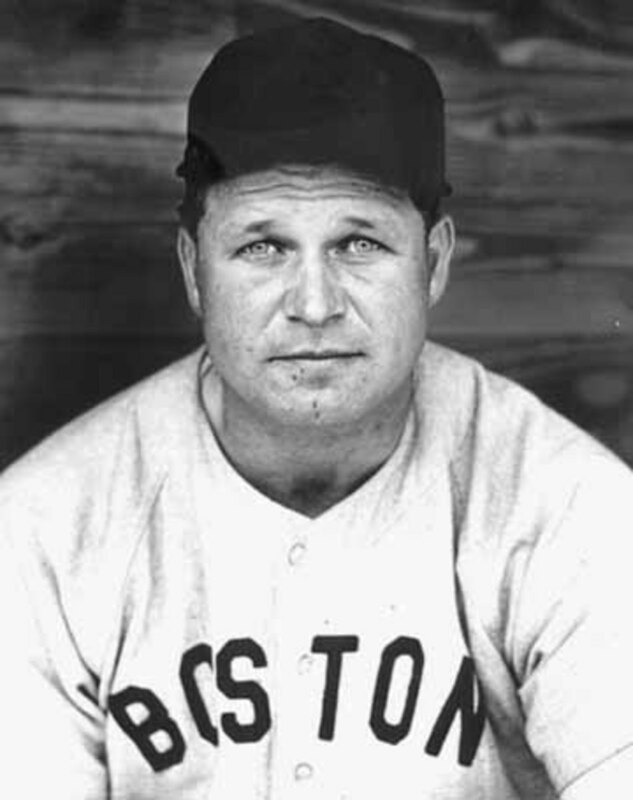 Jimmie Foxx wow quite a way to die. Ty Cobb the guy was good regardless of his attitude. Oh Mickey Mantle, lol. Great read. babyboomerstories— Thank you very much for taking the time to come by and read my article on the Best Baseball Hitters of All Time. I appreciate your most excellent comments. I agree with you that any list such as this is subject to subjectivity on some level and certain debatable. I was reluctant to include Barry Bonds for the obvious reasons but I had never thought about the "forearm thing" he wore all those years. I am surprised that was within the rules but it must have been or "they" would have made him stop using it. I don't like it either, so I am with you there. 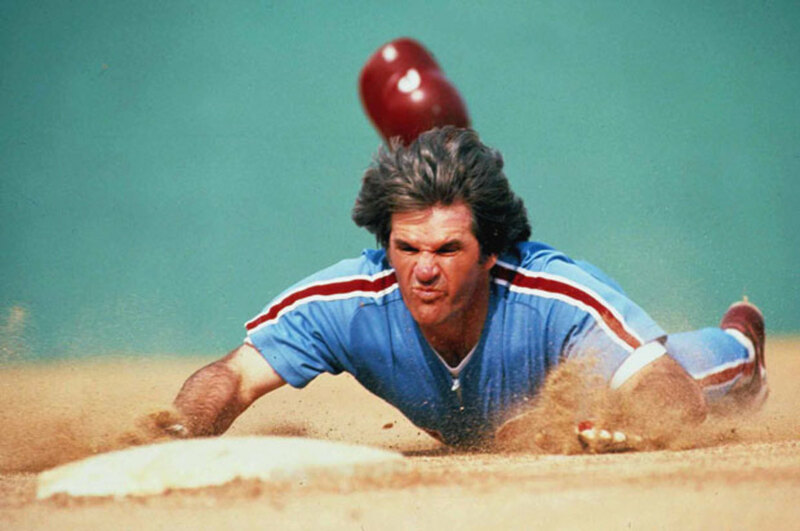 And surely you are correct that Pete Rose was a tremendous baseball player. You were at Wrigley when he broke the record? Very cool. I was not present that day but I have been in attendance many days at that ballpark as I am a huge Cubs Fan. you can argue many others not in your list and the semantics of 'hitter' vs. 'all-around player'. a sport of over 100 years and going is going to have more than just 10 better than the rest. regardless, i disagree about barry bonds. he was a cheater not because of drugs but with the forearm thing he wore in his best, last years. he was not afraid to crowd the plate and take a hit by pitch. this screwed up pitcher's strike zones and he took advantage of it. bagwell from the astros was the same type of cheater. baseball should have banned those. if a pitcher cannot be on the mound if he has a blister, then a batter should not be allowed to wear a protective device on his arm. and pete rose was extra special. i was there at wrigley when he tied cobb (pun intended) or was did he really break the record that day. go to my website and search on pete rose and you can read the eye witness account of that event. James, thanks for the explanation. Glad to hear Ted made it to your Greatest Player list. I'll check it out. theframjak— Welcome to the HubPages Community! I look forward to reading some fo your writings. Thank you for visiting and commenting. I might also note that the phrase above, "Greatest Nine Players in Baseball History" is highlighted in blue, meaning it represents a direct link to my article that predates this one which includes Ted Williams in a higher pantheon than the one in this article. Nice hub. However, no best hitter list would be complete without Ted Williams, the last player to hit 0.400 in a season and the father of modern hitting theory with his great book "The Science of Hitting". CoachKnox— Thank you for reading my article. I appreciate your comments. I understand your position on Mr. Bonds. Welcome to the HubPages Community. I look forward to reading your writings. lots of content, great article. I would have to respectfully disagree with the inclusion of barry bonds on this list. Close but no cigar for me. steveamy— Welcome to the HubPages Community! Until two years ago, I lived in Orlando. I was in Florida about 18 years altogether. Shoeless Joe Jackson. Great hitter. No doubt about that. I appreciate you bringing him to our attention. Thank you for reading my Hub. gehrig4— I suppose you are right. I mostly used OPS compared to other hitters of their generations. Gwynn was a truly great hitter. Maybe a future Hub is in order of the guys who made the fewest outs per at bats? Thank you for visiting and commenting. Welcome to the HubPages Community! Cube Jesters— Welcome to the HubPages Community! I am glad you enjoyed my article. Thank you for reading it and for your excellent comments. Well, you make a good case for Shoeless Joe Jackson. Perhaps I will have to revisit his career numbers. If you are talking just pure hitters Tony Gwynn has to be on here somewhere. Although you seem to be going more for guys who had power as well as hit for average. As a huge fan of baseball and baseball history, I enjoyed your article. 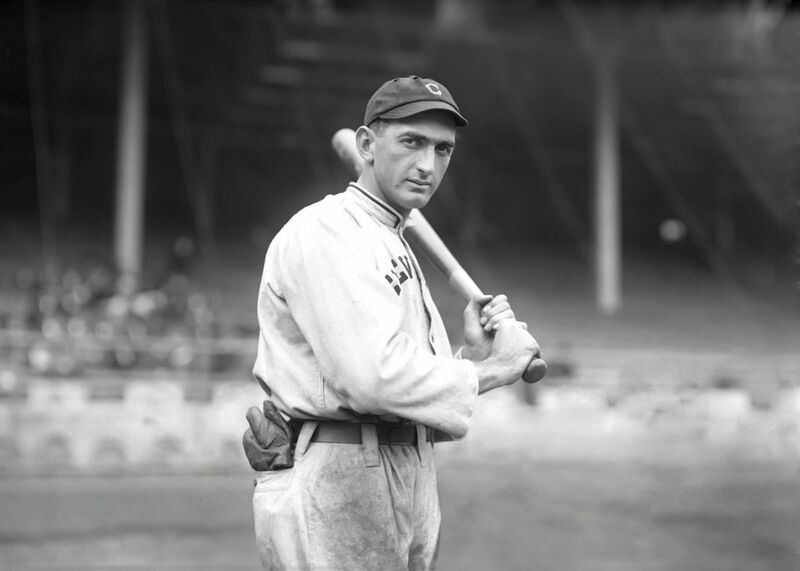 However, I have to take issue w/ the noticeable absence of "Shoeless" Joe Jackson from your Greatest Hitters list. He has the 3rd highest average of all time behind Cobb and Hornsby and was only getting better when he was banned from baseball after the Black Sox Scandal of 1919. Bruce— You are probably right, friend. Ted was not a great glove man. His extraordinary batting prowess is what prompted me to include him on the list of Greatest Players. I did consider Gwynn and Carew for this page. You make good and valid points. It is hard not to slight somebody with any listing such as this. I appreciate the visit to my Hub. You should have Ted Williams on this list and he should be taken off the greatest players list because of his lck of defensive skill. Also, with exception of Cobb, the type of hitters you list are run producers and I think they should be categorized as such. What about the table setters such as Ichiro,Gwynn,Carew,Rose etc.? What makes a hitter great? Dustin— Yes! Mickey is one of the true greats of all time. Thank you for commenting on my Hub. Mickey!!!!!!!!!!!!! You are number 1 in my mind all the time! cory39rocha— Thank you for visiting. I appreciate your kind compliments. Welcome to HubPages! this is really nice hub i see you are really a good writer.Keep it on writing. H P Rpychoudhury— I am so glad to read your words, my friend. Thank you for your graciousness. You are a pleasure with which to enjoy discourse. In this beautiful hub the presentation of past out memory of few baseball hitters brings joy and satisfaction not only to every sports person but even to non-sports person. Thank you, Bob, for your ongoing support. I love you guys. The oldest one is quite busy with her own family and the youngest just got his BS in Mathematics and Actuarial science. And he is an awesome bass player. Wasting his talent on mundane stuff like work. We'll sic them on you when we think you are really ready. Be careful what you ask for! LOL!! Oh... and we really appreciate you and your writing also! All of the statistics are very interesting but what I really like is how you included the extra stuff about the people they were/are. Growing up on Long Island in the 60s the first baseball team I heard about was the Yankees. And the players I remember hearing about were Micky Mantle and Roger Marris. Micky got more newspaper coverage. Interesting how many of these guys had some real problems off of the field. May God continue to bless you and keep you writing. I may get around to my first hub soon. Now you have Virginia pushing for it also. Fullerman5000— Thank you, kind sir. I know what you are saying about Bonds. He's not a well liked individual. I appreciate your kind compliments. Good job man. Although my feelings towards Bonds arent of a positive nature, i still believe he belongs on this list. Great hub. YOu know your baseball. Great hub!!!! That right there is one sport I do like, along with a few others. Harvey Stelman— You are correct, sir. It is difficult to compare generations what with the changes in the game. What I looked for is hitters who dominated during their time. And I tried to cover each generation with a representative who did just that. The steroids thing makes it tough to judge the more recent superstars. But among them, Bonds stands out. You met Mickey Mantle . . . a bunch of times! Lucky you my friend! I'd say Mick hit them farther than anybody ever. It's good to hear from you, H. Thank you for your insightful remarks. JR— I agree with you about that. On my greatest list, I bound myself to one player per position—and took defense into consideration. I gave Willie Mays the edge over Cobb in centerfield, but barely. It is certainly debateable. On this page I considered offense only, and disregarded positions. Thank you for taking the time to read my article. I appreciate your excellent comment. James, Comparing players of different generations is imopssible. 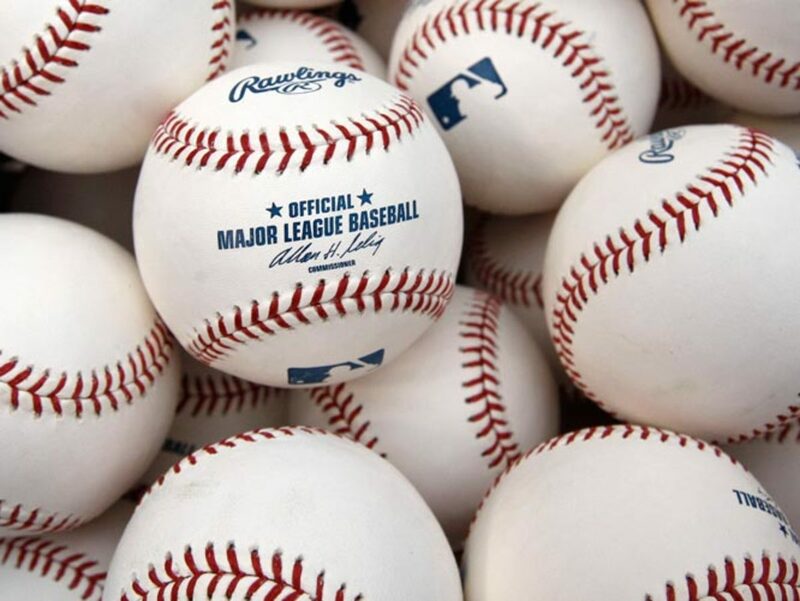 One must take into account the construction of the ball & bat, the height of the mound, how far away the fences are, can a pitcher place anything on the ball, etc. The thing I am most concerned with is steroids. 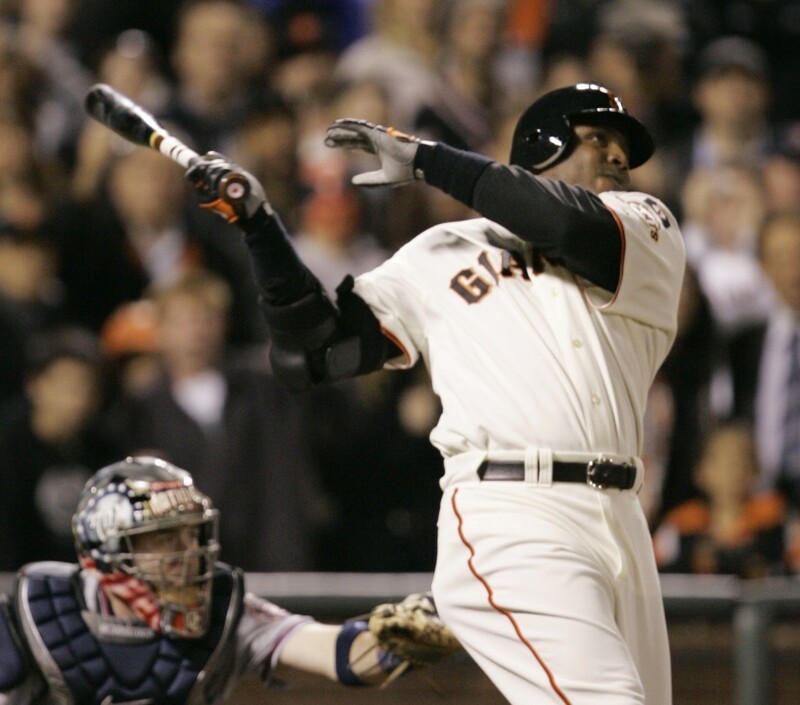 Bonds was a better than average player, with a below average arm . The best of him came after steroids. If Ty Cobb wasn't on your list of greatest baseball players of all time then something's wrong. Any book written by 1970 always had Cobb and Ruth 1-2, in varying order. I think revisionism has served Cobb poorly. fred allen— That is interesting, Fred. And it could well be. I hadn't thought about it. I just now looked at the leader board and there is nobody remotely close who is active. bgpappa— Thank you! It's nice to see you over here on this side of the tracks, friend. I agree with your comments all the way. And I appreciate you for coming by. v_kahleranderson— Hello Sister! I am glad you let me know that you enjoyed this fun little Hub. I have seen that movie but to be honest I don't recall the Hornsby bit. I'm not surprised, my memory is not too good—especially when it comes to movies. Just watched sportscenter and they talked about records that may never be broken. Pete Rose record of most hits in a career was one of them. Hard to argue with this list. 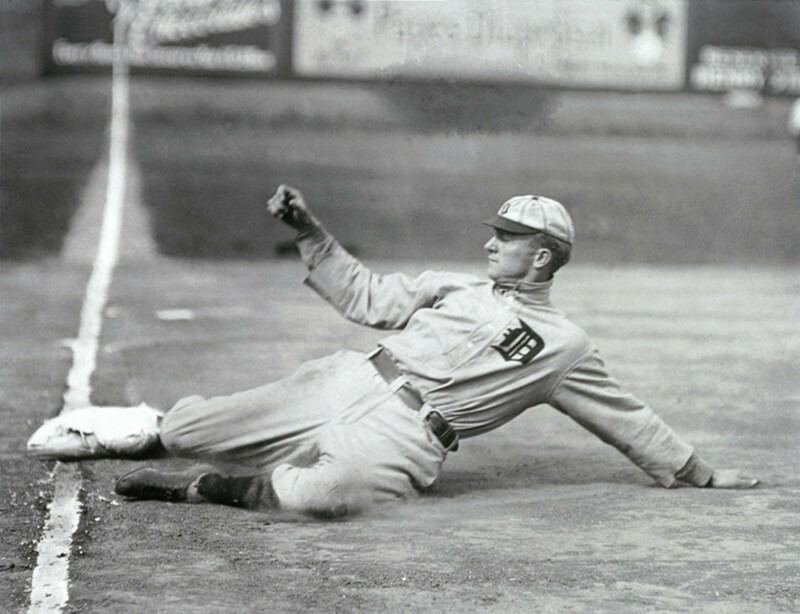 Ty Cobb was probably the best pure hitter of all time, although very few young fans even know who he is. Stan the Man was an amazing hitter as well. Very interesting history of baseball greats James. I am not a huge sports person. I do enjoy baseball though because it is one of the easier sports to understand. Thanks for sharing. caretakerray— You're welcome. I appreciate your visit and remarks. ama83— I hope this put some stats in perspective for you. Baseball is a great game. The more you learn about what is really going on, the more you love it. Thank you for your comments. fred allen— I am well pleased that you loved this Hub. You hit on the reason I proclaimed Barry the best hitter ever: his effect on his opponents. I saw the last four on this list play ball. None of them, while feared, got anywhere near the kind of reaction Bonds did. He once was intentionally walked—with the bases loaded!! partisan patriot— Wow! That is high praise indeed! Thank you ever much. I have a warm spot in my heart for Mickey. And I loved that film "61." I am glad to see you here. Hello Mr. Watkins! I really enjoyed reading this hub, and the statistics. Although, half the names I recognized, and half I didn't. But it was a very fun lesson, indeed. 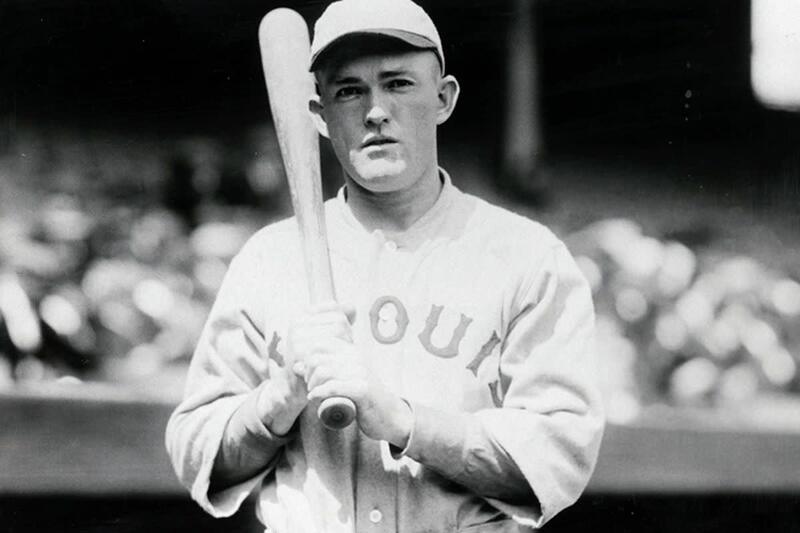 I would not have known anything about Rogers Hornsby, if it wasn't for the mention of him in "Blast from the Past," a comedy/romance movie with Alicia Silverstone and Brendan Frasier. But I'm sure you've seen this movie, too! 8 years ago from Michigan U.S.A.
Thanx for the nostalgic walk down the baseball greatests. Well written and through as wellas entertaing. These are very interesting stats. I am new to baseball (my husband is a Red Sox fan), so seeing some of the all-time greats is helpful for me. Love this hub! As I was reading it I wondered if you would include Barry Bonds. Glad you did. While there is a firestorm of controversy swirling around the legitimacy of his numbers, I was in awe as I watched him during the magical season where he hit 73. Nobody would pitch to him. He was without doubt the most feared hitter in any season in major league history. Loved the bio's on the old timers too! Best hub ever; growing up as a Mickey Mantle aficionado in the 60’s I loved what you had to say about Mick. He was a great player with an unfortunate dark side which I believe you captured in your blog as was captured in the movie 61. Anyway there will never be another Mickey Mantle or team like the 61 Yankees! akirchner— Ted Williams, Babe Ruth, Stan Musial, Rogers Hornsby, Lou Gehrig, Manny Ramirez, and Todd Helton are the only players in history with 300 home runs, 500 doubles, a career batting average higher than .300, a career on-base percentage higher than .400 and a career slugging percentage higher than .500—besides Edgar Martinez. A great hitter no doubt! Storytellersrus— There is no doubt Harmon Killebrew was an amazing hitter, and prodigious home run hitter. You are lucky to have seen him play. Thanks for bringing up his name. It's nice to see you here. John B— Boggs and Carew are two of the best from their generation, to be sure. Not many strikeouts between those two. I'm glad you left this comment, JB. I hope to see you soon. maven101— You are welcome, Larry. Thank you for reading my Hub. I enjoyed your insightful remarks. Yes, Brett and Carew were great hitters. Bill James is a huge fan of Brett. Let's not forget Tony Gwynn! And you are on to something with that word "sluggers." Lucky Cats— You are welcome. Thank you very much for this lovely note. So you have met BB? That's great. And you had excellent seats, too. The Giants may well win their division this year; the Padres seem to be fading. I am well pleased to meet another avid baseball lover. Welcome to the Hub Pages Community! And you, James, broke you own record. This is an outstanding hub with such an amount of information. Well reasearch and well done. Also paying sucha great ribute to old players to be remembered. Thank you. Love all of these guys but Barry - I just can't get around on that guy so to speak. Too bad I never liked him in the first place but all this stat stuff and his steroid use....and where is MY favorite, little meek and mild Edgar Martinez and his mighty swing? Seriously, great hub and well done - except I still don't think Barry deserves the accolades like the other guys. I guess we'll never know though who was 'true' and who wasn't! Okay, Harmon Killebrew is rated 9th among homerun hitters. Where is he???!!! A childhood hero of mine, I saw him hit many over the fence for the Minnesota Twins. I demand justice, lol!!! Great hitters indeed. Two others I loved watching were Wade Boggs and Rod Carew. Non-contact for those two was very unusual. James, I am so happy that you included Barry Bonds in your article. I am very privileged to have met him on several occasions in San Francisco. I am an avid baseball fan and a great San Francisco Giants supporter. I was there to see many of Barry's big hits; and also to see the 2002 Play Off games -Divisional, National and World Series. You said "He is also the greatest baseball hitter ever." Thank you for this! Many people find/found it hard to 'get around' the big personality, difficult attitude of BB. BUT - there is no mistaking his ability. We sat in FC 115 row F for 6 seasons....at ATT Park (then PacBel and SBC) that's 5 rows back behind home plate. It was fabulous. I have 2 signed major league baseballs by BB and many other players. Sadly, I'm in SE Kansas now, away from my beloved Giants but...hey..as of this writing; they're 1 game back in the Nat. League West!!! Great 411 here, James! stars439— Thank you, my brother, for your ongoing affirmation and encouragement. I appreciate you. pcoach— I love it too! Thank you very much! dosters— Thank you for visiting and commenting. I hear what you're saying. We'll never know what kind of stats Bonds would have without the steroids. With them, his stats are the best. I'm not in any way a fan of his—far from it. All of these guys are pretty darn good. Vladimir! My friend of few words. Thank you and you are welcome. singlmomat52— You are welcome, my dear. I am glad you love baseball—I do too! Thank you for your gracious compliments. justom— Thank you, Tom, for coming by to visit and for the compliment. The Reds are doing great. Now that the Cubs are out of it, I am rooting for the Reds and Dusty to go all the way. Fantastic hub. Wonderful pictures in beautiful colors of the baseball players . Very nice. God Bless You. Take me out to the ball game...What a great hub! I love the game! Great Hub James. Although I respectully disagree with your assessment of Barry Bonds being the greatest hitter ever. He was exceptional even before steroids, but his best baseball came juiced. I think based on talent it has to be Cobb or Hornsby. Bonds+Steroids=Greatest Hitter Ever, but all of those stats listed come with asterisks. Tom Whitworth— Wow! You get around Tom. I'll check out your new Hub, for sure. It's nice to hear from you. I saw Cobb when it came out and I loved it. Maybe it's time to see it again. I appreciate your interesting comments, brother. Great hub, I liked it. Bayoulady— Thank you for your gracious compliments. It's nice to see you here. I love baseball!!!! I do not know all the statisics of the players but I so enjoy the game. I remember listening to my Dad talking to friends on the phone many times and he was so smart about baseball and the players. This is a great Hub, you did your homework, Lol!! Thank you so much for sharing info on the Greats of baseball!! Great list of hitters. Your description of Cobb was a direct match to that portrayed in the HBO movie,"Cobb". I saw Musial, Robinson (When he was with the Reds),and Aaron, all play at Forbes Field in Pittsburgh. I saw Barry Bonds break in with the Pirates at Three Rivers stadium in Pittsburgh. I met Mickey Mantle on my way back from New York City on the Pennsylvania Turpike in 1961. He was a very nice guy and spent an hour talking baseball with this 14 year old boy. tony0724— Ah!! Willie is the greatest, my friend. I'm glad you caught it. Thanks for coming by to visit. saleheensblog— Thank you for being my first visitor! I am glad you liked this Hub. Welcome to the Hub Pages Community. What a fun read... nice job, James!!! James I apologize I read the opening paragraph again ! James I love ya Bro ! But where is Willie Mays ? wow this is a great hub for the baseball fans, though i don't play it, don't even know how to play but i liked it.